Yesterday was a day of great sadness for the world of wine as news broke that the trade’s most celebrated personality had died aged 61: Gérard Basset. 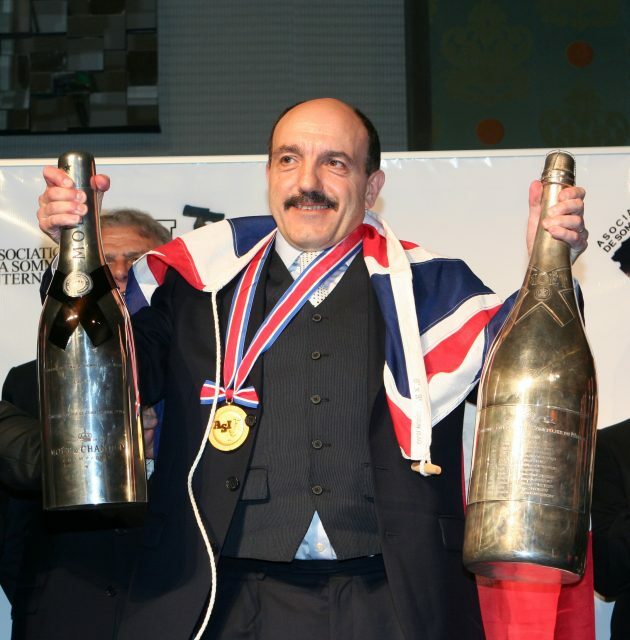 With an OBE, MW, MS, MBA and MSc, there is, and, it is quite safe to assume, never will be a figure in this business with so many awards – capped by Gérard’s proudest achievement: being crowned the world’s best sommelier, following his win of the World Sommelier Championship in 2010. Much has already been written about Gérard, both during his exceptional 30-year career in the business, and since his death as moving tributes from the trade’s greatest names. Such a response is credit to my belief that no-one in wine was as well-known, as widely-liked and as universally-admired as Gérard – and that’s despite stiff competition in this friendly industry of high-achievers. This is because Gérard was a strong personality with great generosity of spirit, and a rare capacity for hard work, driven by an endless desire to overcome the trade’s toughest challenges. Indeed, if you thought Gérard’s achievements came easily, then you’d be wrong – everything he did took hours of study and practice, making him brilliant proof that it is hard work, along with talent, that’s needed for success. But for all his hard-won achievements, he was faced with a most cruel change in fortune, which came in the form of something completely beyond his control: as the drinks business announced yesterday, Gérard was diagnosed with cancer of the oesophagus in 2017 and underwent a course of chemotherapy before undergoing a major operation in February 2018. Sadly, in July, it was confirmed that the cancer had returned, and in November, he was given a terminal diagnosis and a 6-12 months life expectancy. Because Gérard had such a large number of close friends in the wine trade, many were aware at the start of this year that he only had days left to live, but news that he had died yesterday morning (16 January) arrived as a horrible jolt – after all, you may be braced for an impact, but it is still painful. I shall certainly greatly miss his comforting presence at the major events in the wine calendar, where one could be sure Gérard would be present, usually standing to one side of the room, smiling, with his chin resting on his hand. Gérard had a warmth that made him easy company, allied to a cheeky sense of humour that made him fun, and no desire to steal the limelight from others – indeed, he was intent on nurturing new talent. He was also a man of contrasts, combining the appearance of a country gent when his great love was not field sports, but football. He also carried the accent and facial hair of a stereotypical Frenchman, but he was an Anglophile who had mastered British sarcasm. And he played down his achievements, citing luck, when in fact, he was the most conscientious performer in the business. He is survived by his wife, Nina, and son, Romané, and Nina has released a statement this morning expressing her devastation at the loss of her Gérard, but also her great gratitude for the many kind messages she has received in the short period of time since he died. In the same message she said that a small, private funeral will take place, while a memorial service will be held in London in the spring, details of which will be released in due course. db is also pleased to report that Gérard has written a professional memoire, which is due to be published by Unbound – a website that employs crowd funding to bring books to the market. We shall bring you details of how you can contribute – should you want to help with the costs of printing and distribution – as soon as we know more. In the meantime, db’s thoughts are with Gérard’s family.